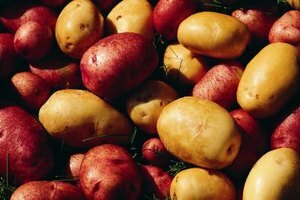 Smaller, waxier potatoes, like red and gold, freeze better than other varieties. 1 Can You Freeze Uncooked White Potatoes? 3 How Do I Freeze Homemade Hash Browns? 4 How Do I Preserve Sliced Potatoes? Raw potatoes don't take well to freezing. They don't go bad, but their texture and taste are poor after they've been thawed and then cooked. Blanch them first to inactivate enzymes that cause them to degrade to see if the resulting potatoes are acceptable to you. The fresher the potatoes, the better they freeze. Cooked potatoes, when mashed or grated, freeze fairly well for a few weeks, but then quickly lose flavor. Without blanching, raw potatoes spoil in the freezer. Clean them in cold water and use a vegetable brush. 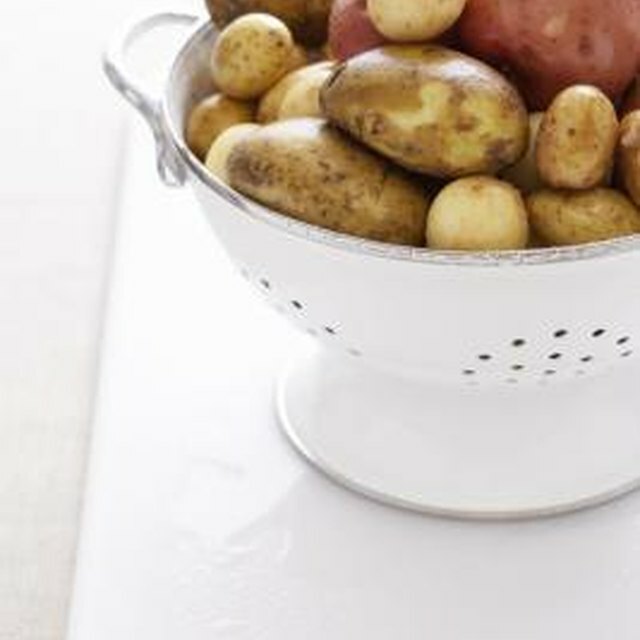 Bring a large pot of salted water to a boil over high heat; the greater the water-to-potato ratio, the better, as it maintains its temperature more and returns to a boil faster when you add the potatoes. While the water heats, prepare an ice water bath. Boil potatoes with a diameter less than 1 1/2 inches for four to six minutes and boil larger ones for eight to 10 minutes. Drain them and immediately plunge them into the ice water to stop the cooking process. Dry the potatoes thoroughly and seal them in airtight packaging to freeze.